Editor’s Note: This article about best food apps is a revised version of an article that appeared in a previous issue of The Social Media Monthly. If you like it, you might want to download The Social Media Monthly iPad app or iPhone app and subscribe, or order a print subscription. We are in the midst of a social food revolution, with loads of new food-related apps and services available online and for mobile devices. It makes sense because other than breathing and sleeping, eating is one of the essentials of life. And in the Western world, it’s a major part of how we socialize and celebrate. Let’s take a look at some of the social food apps, sites, and services now on the market – no matter what your cooking orientation. It’s time to watch the big game, you have a crew of friends coming over, but you don’t cook. What can you do? You can order out. It’s not always easy to figure out the array of restaurants that will deliver or even offer take-out, other than your favorite pizza or Chinese food joint, which is why Grubhub exists. Grubhub makes it easy to see all the local restaurants that allow food ordering for delivery or pickup, and order from the web or via the mobile apps for Android and iOS. If you cannot find what you are looking for on Grubhub, try Seamless. You can purchase your food directly through Grubhub or Seamless and then kick back and wait for it to arrive. If you have time to plan in advance and want your meal to be a little more interesting, then you might want to check out Foodzie (recently acquired by Joyus) and order some artisan foods. Foodzie offers a marketplace for specialty foods where you can find anything from skillet bacon jam, spicy pickled carrots, and artichoke roasted garlic parmesan tarts to specialty meats and cheeses and more (the 25-layer chocolate crêpe cake sounded good to us). Whether you have a culinary background or not, there are numerous new and established resources online or on apps. Of course, you can always depend on longtime culinary staple websites such as The Food Network, Martha Stewart Food, and Epicurious. But we like to check out the latest that social media and tech has to offer, so we’re going to share some new options. To get inspired, you might first want to explore Gojee, a site that offers some delicious imagery of the tasty dishes you might consider creating. Their unique search functionality allows you to enter different ingredients that you have on hand and then see what recipes you can create with them, potentially eliminating a trip to the grocery store. Gojee has been compared to StumbleUpon and Pandora, and cofounder Mike LaValle calls it “Google for food blogger recipes.” Gojee’s team handpicks recipes to aggregate. You might find yourself starting your search on Gojee and end up on a food blog that lays out the complete recipe you were in search of. And Gojee is now available on mobile. If you don’t find what you are looking for on Gojee, then try Feastie. Feastie offers a recipe search engine that scours food blogs and websites to help you find healthy, tasty, and budget-friendly recipes. What sets Feastie apart is its search tool that factors in your dietary and nutritional needs in a clear, easy-to-use format. You can also create a grocery list automatically from recipes. The grocery list is printable or accessible on your mobile phone. Mor.sl also helps undecided eaters find the right recipes, but with a quick quiz about things like your allergies, favorite foods, and “this or that” preferences. Yummly offers a semantic search and recommendation engine for recipes with preference settings, including type of cuisine, spiciness, and a breakdown of allergies into ten categories. If you want to know what your friends might suggest, try Foodily, which creates a stream of recipes that your Facebook friends have saved or shared. It also offers a search, which calls up images and recipes. 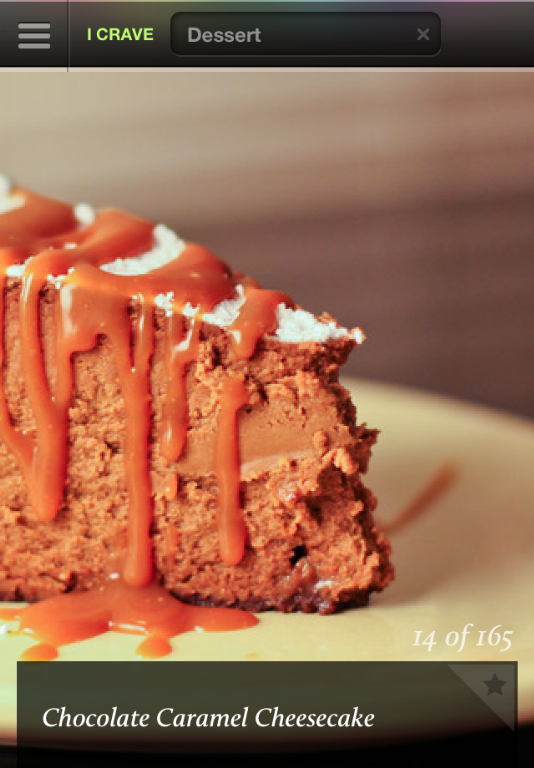 Punchfork is a recipe site that curates beverage and food recipes via social media. No need to figure out whether the recipe is actually as good as it looks – each recipe earns a score based on how talked-about and shared it is. The items with the highest ratings are probably the tastiest. Pumpkin cinnamon roll pancakes were scoring pretty high at the time of this writing. Finally, Bakespace gives you great recipes, plus expert tips, discussion forums, and a community of foodie friends to share your success with and vent your frustrations to. Once you’ve collected the recipes you like, consider storing them all in KeepRecipes, where you can keep track of your favorite recipes from online sites you discover, concoctions you create, recommendations from friends and family, or the instructional videos from world famous chefs sold on the site. Then keep them all in one spot for easy access. Sometimes you just need to get out of the house and let someone else do the cooking, while enjoying a change in scenery. If you’re feeling social, you could leverage social technology like Foursquare to see where all your friends might be hanging out (or on the other hand, use it to avoid the crowd…). If you’re interested in finding a place to eat nearby that doesn’t have a long wait, OpenTable makes it easy to find and reserve a table either online or via your mobile device. 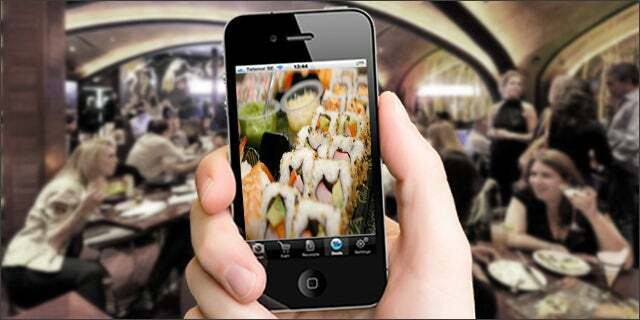 Some other favorites for finding restaurants nearby include UrbanSpoon and Yelp. 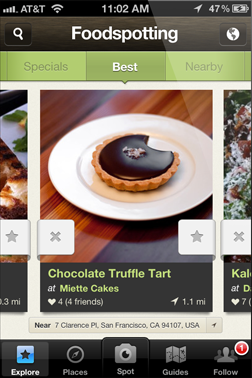 If you’re heading out with friends, check out Grubwithus. Not only can you find great places to eat with your friends, but you can pay the check beforehand – no hemming and hawing when the bill comes. Also useful, Menuism offers a combination of restaurant menus, restaurant and food reviews, and dining journals with social networking components built in so you can explore menus in search of the dish of your choice. For all the vegetarians out there, DiscoverVeggie offers an online search for restaurants with vegetarian dishes, while VegOut offers an iPhone app that helps you find vegetarian- and vegan-friendly restaurants while on the go. Some may choose to say grace before a meal, while others may choose to take a photo instead – which is just another way to honor the meal. For those who like to snap photos of their guacamole, cranberries, or special desserts, consider sharing those mouth-watering images on sites such as these, where others who praise their food via camera also congregate. An early leader of the food site trend, Foodspotting offers a place to post pictures of your favorite dishes in restaurants around the world – resulting in an easy-to-search, visual catalog of meals to try, as well as your own food journal history. Since each photo posted lists the restaurant and location, you can easily make a plan to get the dishes that look best to you. Singapore’s Burpple is similar. Appetude is a social network of food, which allows people to share photos like Foodspotting, order food from restaurants like Grubhub and Seamless, and comment and review like Yelp. While Thankfulfor.com is more about gratitude than food, we’ve seen some foodies posting their food photos on the site. Consider creating your own food-photo gratitude journal. Full disclosure: I’m the cofounder of Thankfulfor.com. New food apps and sites are popping up every day, but this list should get you started and on your way to planning out your casual noshes as well as your more formal foodie fêtes.